Well this is my first full week back after Christmas and its all go. We are hitting the phones and wishing all our existing clients a happy new year and reminding them that we are here for any events or corporate hospitality we can help them with for 2009. I have had many enquires this week some of them being, 4×4 Landrover Driving, Circus Skills workshops, Thames Power Blast, Robot Wars and our very popular Corporate Cook Off. With The Rugby Six Nations coming up we have also had many enquiries and bookings for this, please contact us if you would like any information on the many hospitality packages we have to offer at Twickenham, Croke Park, Millennium Stadium and Murrayfield. We have also launched a new event for 2009, Private Screening. 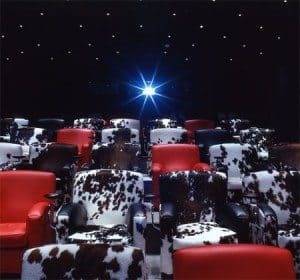 We are very excited about this event with several sumptuous state-of-the-art screening rooms in London providing the latest technology in terms of sound and projection including the most advanced digital capabilities. We have several different packages and can also tailor make your Private Screening to your specification. Also why not use our screens to give your presentation impact? Please contact us if you would like more information on our Private Screening packages. Have a great weekend and Happy New Year again!